From the darkest, most forbidding swamp to the smallest soggy bog at the side of a housing development, wetlands provide invaluable ecological services to life on earth. Yet, prior to the 1930s, few people worried about the mounting loss of these essential landscapes. America’s Forested Wetlands chronicles the history of American attitudes and actions toward the ambiguous transitional areas between dry land and open water. From the clear-cutting of cypress swamps and the wholesale filling and draining of marshes and bottomlands to the growing recognition of how these lands contribute to flood control, water quality, and biological diversity and on to today’s energetic political debates over “no net loss” policies designed to protect, enhance, restore, or recreate wetlands, the story involves increasing human understanding and appreciation of an important but limited resource. 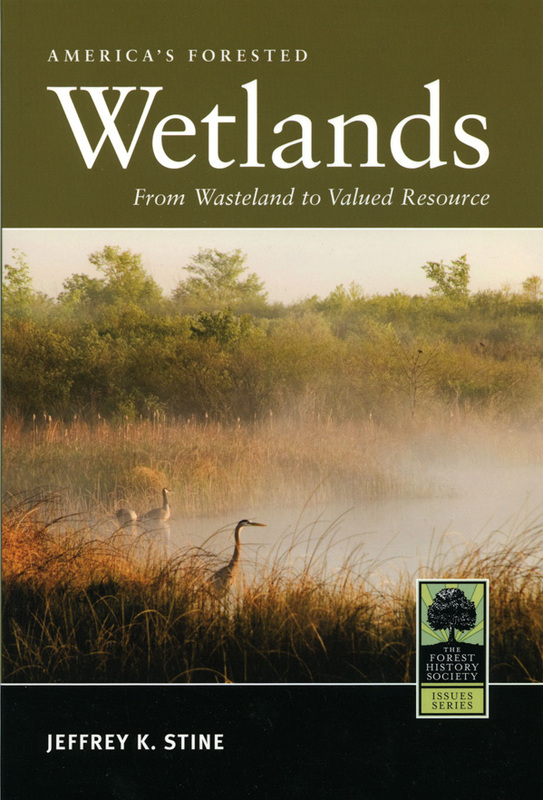 America’s Forested Wetlands addresses one of the most persistent and contentious issues in natural resources management and offers an essential primer for landowners, teachers, students, journalists, and government decision makers and advisors. Jeffrey K. Stine is Curator for Environmental History and Chair of the Division of Medicine and Science at the Smithsonian Institution’s National Museum of American History. Among his other works on wetlands is Mixing the Waters: Environment, Politics, and the Building of the Tennessee-Tombigbee Waterway (1993). 96 pp. ; 35 photos and figures. Issues Series booklets are $9.95 (plus $4.00 shipping). Discounts are available if ordering 10 or more copies.